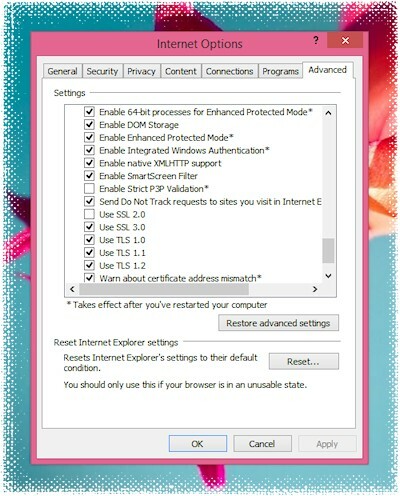 Since IE10 you are required to run IE in Enhanced Protected Mode (EPM) to enable 64-bit mode. Interestingly, IE11 added a separate option to control 64-bit mode, and although the option is called "Enable 64-bit processes for Enhanced Protected Mode", 64-bit mode also works with EPM disabled as I found out today. EPM adds two additional layers of protection to mitigate the impact of exploits. A successful exploit has to circumvent IE's Protected Mode sandbox, the Windows 8 EPM AppContainer model, and has to target the 64-bit architecture. Of course, if you increase security there is in most cases also a usability trade-off. Past IE versions ran a bit slower in 64-bit mode since the Chakra JIT engine was optimized for 32-bit. This drawback has been removed in IE11 however. Besides that you may also encounter compatibility issues (not all plug-ins are compatible with EPM and 64-bit yet and may require an additional click to activate) and other side effects may occur (as blocking drag & drop operations between add-ons and IE for example). The tablet version of IE11 already runs in 64-bit mode, but for the desktop version you need to activate it. The two options are found under Tools > Internet options > Advanced, "Enable Enhanced Protected Mode" and "Enable 64-bit processes for Enhanced Protected Mode". After restarting IE the tabs should now run in 64-bit mode. You can verify this by clicking on Quero > About or in the Task Manager Details view if you add the column "platform". 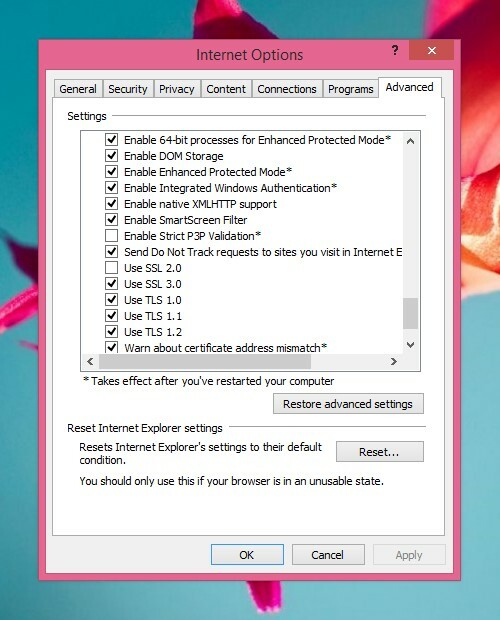 Do you run IE in 32- or 64-bit mode?